Leonard Umunna: 50 years on the Pulpit with Extraordinary Legacies. Bishop (Prof) Leonard Nwoma Umunna is the General Overseer of the Bible Life Church International and headquarters located at Ajegunle in Ajeromi- Ifelodun Local Government Area of Lagos State. He was born on the 25th of June 1954 at Umuoma Okpofe in Itu, Ezinihitte Local Government Area of Imo State of Nigeria. His birth was a misery but was able to surmount the problem in a twinkle of an eye. He never had a privileged of attending a primary or secondary school because his Uncle could not afford his school fees then but was physically and spiritually challenged the situation and determined to work his destiny to success through God's ordination. With his little beginning and from a humble family, he was able to meet his destiny when he registered in a school of typing where he formally worked with the Federal Palace Hotel and later joined the defunct Nigeria National Supply Company (NNSC) as a copy typist, he rose to the enviable position of a manager and honorably retired from service as the Head of Department of the same company. Though his calling started at 9 which many still in doubt but Bishop Umunna's calling was spiritually dynamic and different from other reputable ministers of God in Nigeria. He never intended to be a pastor because he was brought up in a Roman Catholic teaching where he wanted to be a catholic priest but unknown to him; he was invited to one of the Pentecostal churches in Nigeria where he met Jesus as his personal savior. Bishop Leonard Umunna is one of the fast growing ministers of God in Nigeria with extraordinary gifts in making. He has authored many intellectual and inspired books which are sold all over the world and produced over 16 music albums to his credit. With the zeal to be well-educated and informed in life, he never allowed his poor background to deter his academic pursuit in life. He did his GCE examination without external tutors and came out in flying colors which propelled him to register with some of the Nigerian Universities where he studied Business Administration to Post Graduate Diploma (PGD). He is a man of many parts with international trainings in all ramifications. He is one of the Nigerian ministers of God who is digitally friendly with the media and his members of his church. He also had master's in Education, Doctorate Degree in Divinity- GMF and Literature- USA; Fellow of the Chartered Institute of Public Administration, Fellow Strategic Finance and Administrative Institute, Visiting Faculty London College of Theology and, currently, General of GM chaplain and professor of Christian leadership. Bishop Leonard Umunna is a man with God's heart and an avid reader of creative and motivational books that makes great ministers in the world. He never wanted to start his ministerial calling in a slum city of Ajegunle where he expected to start either from London or highbrow areas of Lagos State like Ikoyi, Victoria Island, Surulere but God commanded him to start from Ajegunle and liberated souls and the world would sought after him, though, it was a critical decision to start from a poverty-stricken area like Ajegunle where many tagged as criminal zone. Today, Bishop Umunna is a household name in Nigeria and the world. With the testimonies recently testified by members and non-members of his church indicated that he has positively affected lives in all ramifications. At his book launch on” A Golden Encounter and Golden Jubilee Anniversary in the ministry revealed that Prof Umunna is a man with God's calling with highly placed caliber of people that graced the event. Though he never expected that his book launch would attract people of integrity in all walks of life but surprisingly, he was given a civic celebration of a great man who has affected lives with his resources. He is not a man of God who wants to eat alone but has largely contributed to humanity. He also discovered few talents in his church and trained them as well. One of the shocking revelations of his present Registrar of his schools, Pastor Angela Ekpene- Umunna who said in the admirable of the congregation that she was driven out of her home by her parents and was adopted by Bishop Umunna, and today she is a master's degree holder and greatly excelling in her chosen career. Leonard Umunna is not just a minister of God without vision but directly impacting on the lives of many Nigerians. He has travelled far and wide in terms of the gospel even to countries like Pakistan to evangelize the gospel without fear. He has escaped 99 times death and been betrayed by some of his pastors in 2001 where the church almost broke up if not the intervention of God on his side. Every genuine successful man has bitter experiences of life but Bishop Leonard encouraged himself in the Lord and never allowed his dream to wash out. He has also organized great programmes and crusades including annual sports and cultural festival under Prof. Leonard Umunna Foundation, GOSEC and others. He is the chairman of blue chip companies that has spanned across the country like Leonard Umunna College, Extra Real Nursery and Primary school, Umunna Hospital, Leonard Umunna Theological University and just mention but a few. He is one the great private educationists that pays his workers before the end of the month without remorse. He cares about the welfare of his workers. 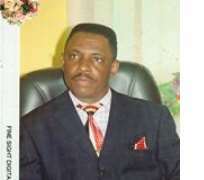 In one of his programmes, time without number when Bishop Umunna said his will has been given to the church not his family. He is a minister of God that believes that better preparation of life meets better performance not luck. Bishop Umunna has received many awards from different organizations including the media, Universities, colleges, religious bodies and others. He is blessed with enviable children in the Lord and as a grandfather. Bishop Umunna is one of the financial supporters of the Ajegunle Pentecostal Fellowship of Nigeria (PFN), Olodi- Apapa chapter; though he lost his beloved wife in 2011 that gave him children. He is a minister of God with cerebral integrity to the core. The Bible Life Church is run as one family not as a company. He is a down to earth minister of God in Nigeria. Many pastors have accused him of using security operatives but he believes that security belongs to God not man. Lastly, Bishop Umunna's legacy is overwhelming and interesting. His indelible marks cannot be easily altered in the sands of time. He is doctor of doctors, entrepreneur of entrepreneurs, spiritual legend of legends, author of authors, leader of leaders, musician of musicians, chaplain General of Generals, professor of professors, father of church drama of dramas, humanitarian icon of icons, writer of writers, teacher of teachers, Bishop of Bishops, pastor of pastors, press mentor of mentors, father of fathers, educationist of educationists, public commentator of commentators, TV preacher of preachers, adviser of advisers, evangelist of evangelists and others. At 50 on the pulpit, he has greatly impacted in all ramifications, your legacy lives on after you, children to children and generation yet unborn in the family of Bible lifers. His book launch that showcase his ministerial calling to his working career attracted personalities like Prof. Obiorah Anthony of GMF and as a the book reviewer, Evang. Anthony Ubara, Evang. Kingsley, Captain Bashiru, Evang. Samuel Friday, Jim Suleman of the Commoners Newspaper, Edward Ndukwe of the Inside-Ajeromi Newspaper , Evang. Anthony Akhagbe, Evang. Chris and others.